= Since I decided the purpose of the trip with Dasom, and set up a rough schedule, the next chore to do became a lot easier. Notes: Brush up on your Hanja! 상 (上) refers to the upper part of something. 반 (半) refers to half of something. 기 (期) refers to a time period. Notes: Brush up on your Hanja! 하 (下) refers to the lower part of something. 반 (半) refers to half of something. 기 (期) refers to a time period. Notes: Sometimes 영상 is used to refer to a video, even though “동영상” can be used to specifically refer to a video. = Can you please take a video? = Now, I am going to England in 3 days. I will go there, and then make of good memories and then return. = Now, day after day I happily pass the time piling up good memories with Minho. I want to say something to everybody who hesitates in confessing (what they want to say). In this lesson, you will learn how to say that one does two (or more) actions at the same time. You will learn about ~면서 and ~며 can be similar, but also how they can be different. Let’s get started. Earlier, I said that ~으면서 is added to a word where the stem ends in a consonant, except where the last letter is ㄹ. You might be wondering why ~으면서 is added to “들” above. The original word is “듣다” (to hear/to listen). The addition of ~으면서 causes ㄷ to change to ㄹ. 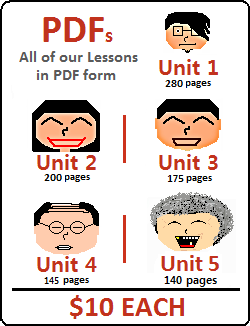 You might want to revisit the irregulars in Lesson 7. Remember, “앉다” means “to sit;” as in, going from a standing position to a sitting position. Therefore, the sentence above indicates that you studied while going from a standing position to a sitting position. Technically you could do (and say) that, but 99.9% of the time, that would not be the meaning that you are going for. ~도 can be added to ~(으)면서 in these cases to provide more emphasis or stress to the situation. 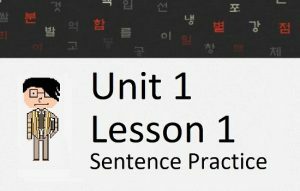 I will discuss ~도 and how it can be added to more difficult grammatical principles like ~(으)면서 in Lesson 107. That’s it for ~(으)면서, but I would like to talk about ~(으)며 and how it can be compared to ~(으)면서 before we finish. You can see ~(으)면서 (and ~(으)며 which I introduce next) in this Korean sign. Therefore, I recommend you to use ~(으)면서 when indicating that two actions (or descriptions) occur simultaneously, but be aware that technically ~(으)며 can also be used to have this function as well. Notice the difference between my use of “but” in the first example (using ~(으)면서) and the second example (using ~(으)며). In the second example, the speaker is just connecting two ideas that are related to each other. 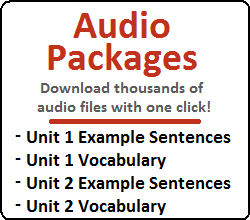 However, in the first example, the speaker is specifically indicating that these two clauses oppose each other. In the end, the result would normally be the same, but you should be aware of this feeling. 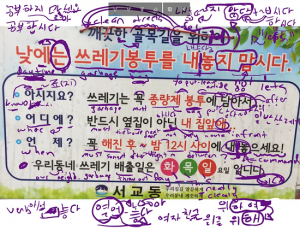 Therefore, because ~(으)며 has another meaning that is not included in the usage of ~(으)면서 (to list or connect two clauses); and ~(으)면서 is more commonly used to indicate that two actions occur at the same time, it is difficult for me to say that ~(으)면서 and ~(으)며 are identical.